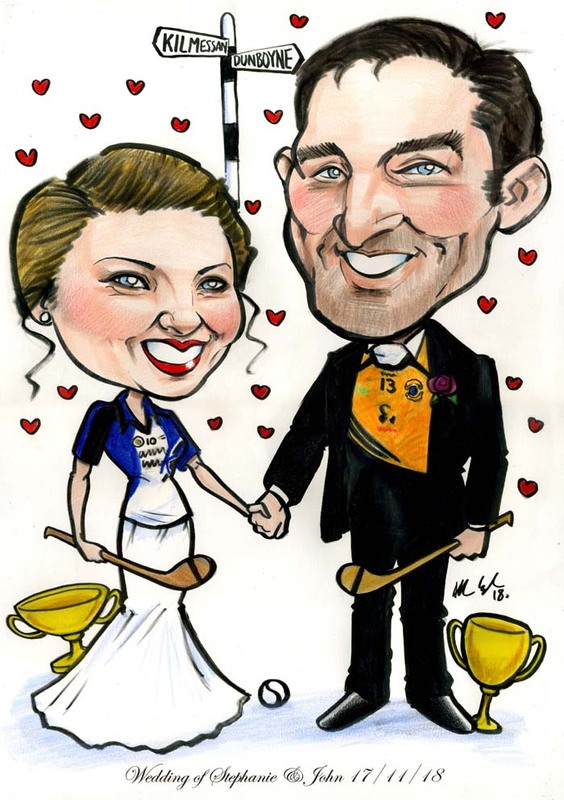 Kilkenny Wedding Entertainment in Langton House Hotel! Lots of laughs from the guests in Langton House Hotel for my Kilkenny Wedding Entertainment at the weekend! 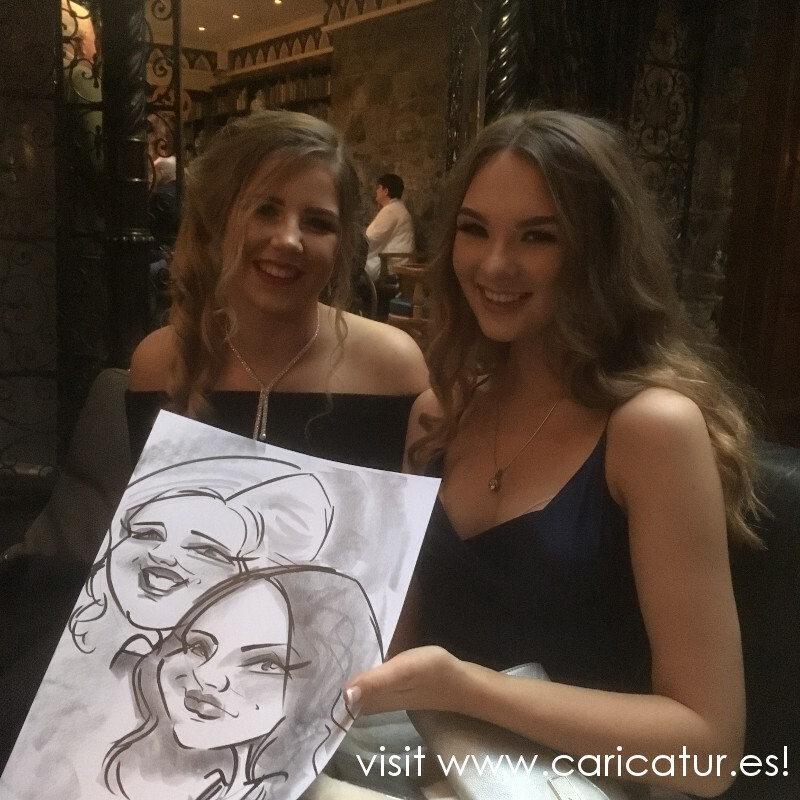 My live caricatures are a great afternoon’s fun for your guests before they sit down for the meal. I set up for the drinks reception and draw 40-50 guests in just 2 hours. Each face takes 3 minutes or less! Yes I am very fast, I’ve been at this a long time. Let’s just say I had a full head of hair when I started. 😉 When the dinner bell is rung I get to spend a few minutes with the newlyweds, which is often the first time they’ve gotten to sit down since they said I do! 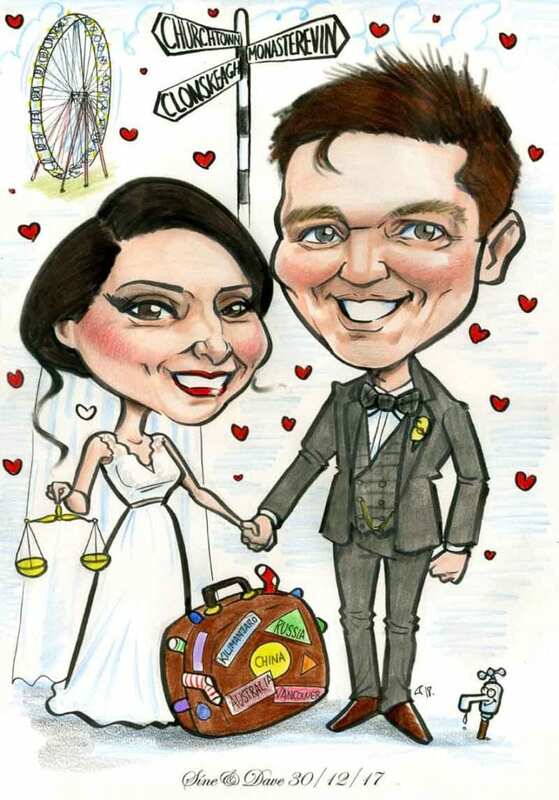 My paper is printed with the date and the names of the couple, and many hundreds of my drawings take pride of place on walls in homes all around the country and the world. For a truly unique and memorable focal point for your wedding reception give me a shout today. 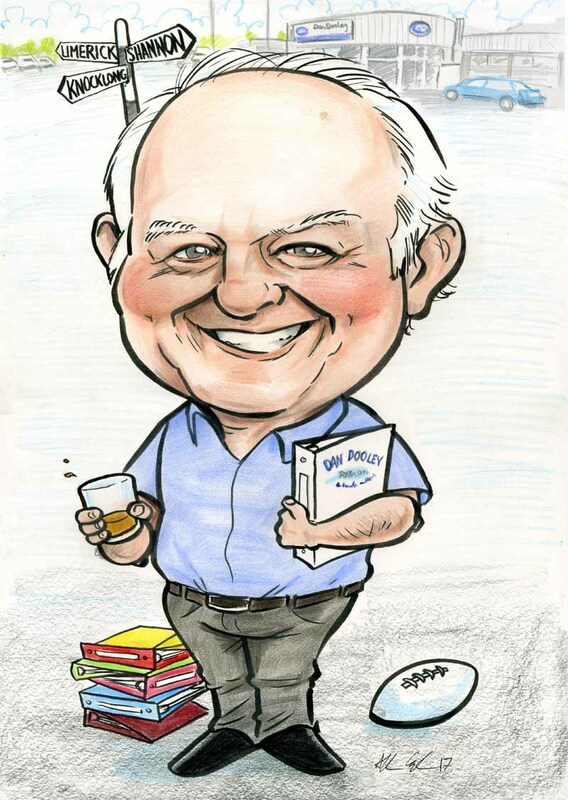 This retirement present caricature went out to a car dealership recently as a gift from the staff for all the years of service! It references his roll in the dealership and several important places to him, represented by the signpost in the background.